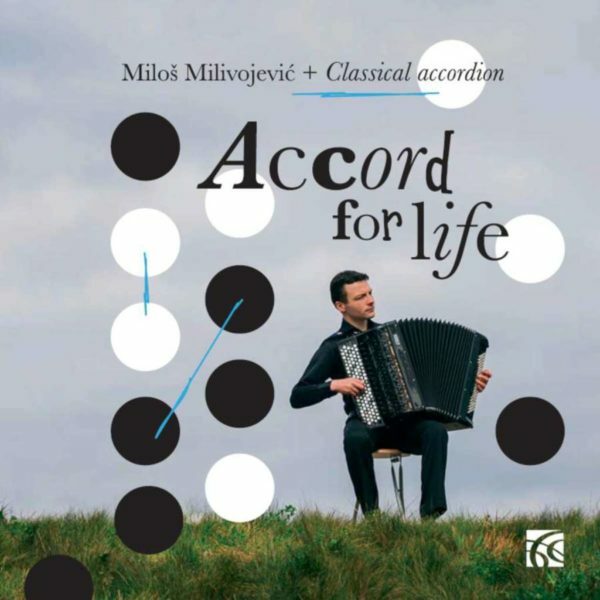 ZZ Music is so pleased to present Accord for life this outstanding new album by one of the world’s top accordionists. 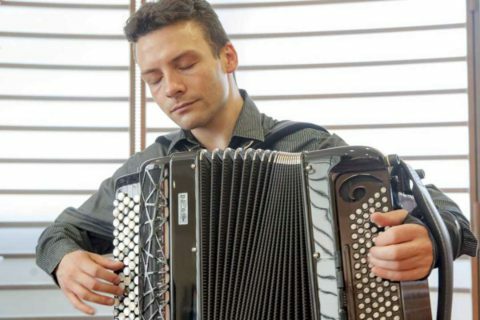 Miloš Milivojević was part of Owen Murray’s golden generation of accordion students at the Royal Academy of Music in the early 21st century when he studied there after arriving from that other hotbed of accordion talent, Serbia, and has since been very active both in his adopted home city of London and all over the world. The album is well worth the wait. It’s beautifully recorded and played on Milivojević’s super Pigini Nova classical accordion which he has recently acquired. It is programmed much like a live concert taking us on a journey from the accordion’s popular transcription works of major Baroque composers like Bach and Scarlatti, rarer transcription works from the Romantic period with composers like Mendelssohn and Sarasate and then on to contemporary works by Vlasov, Angelis and Semenov. The Sarasate is saved though for the finale with the blistering Tarantella rounding off what is a really enjoyable and excellent album and shows what a mature musician Milivojević is, with extraordinary technical ability, sensitivity and good taste. We wish him well with this wonderful classical accordion album and he deserves success as it is rare that one finds one so talented, seriously dedicated and musical in his playing and yet so humble, fun and easy-going in person. This entry was posted in News and tagged Accord for life, CD Review, classical accordion, Milos Milivojevic, Nimbus, Owen Murray, Royal Academy of Music.